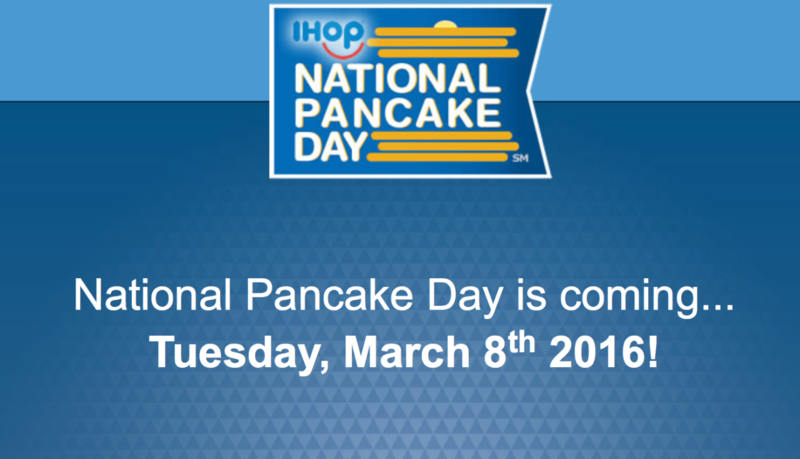 Mark yourself as booked on Tuesday, March 8th because it’s NATIONAL PANCAKE DAY! Join us from 7AM to 7PM for a free short stack (3 Original Buttermilk Pancakes). And while you’re there give back by providing a donation to @Children’s Miracle Network Hospitals and other designated local charities.